This unique, motivational presentation is a delightful blend of bright comedy and dazzling magic that encourages and inspires. It is a excellent addition to company parties or sales meetings in Minnesota. 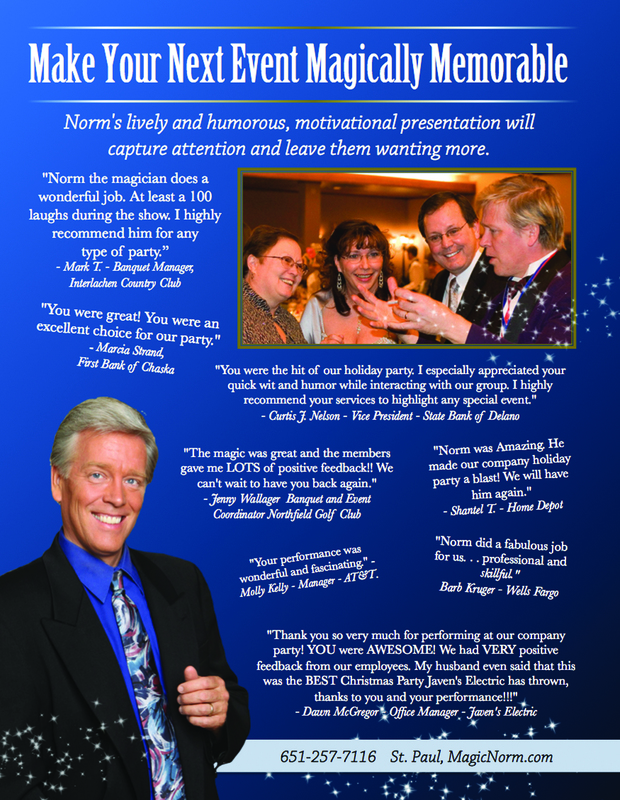 Norm's comedy and Motivation grabs attention and encourages your staff. Your guests will be glad they came! "He was a hit, it was a smash. He was here many times for bigger groups as well as strolling at banquets. I would recommend him highly." "Thank you for the delightful performance at our Employee Appreciation event! 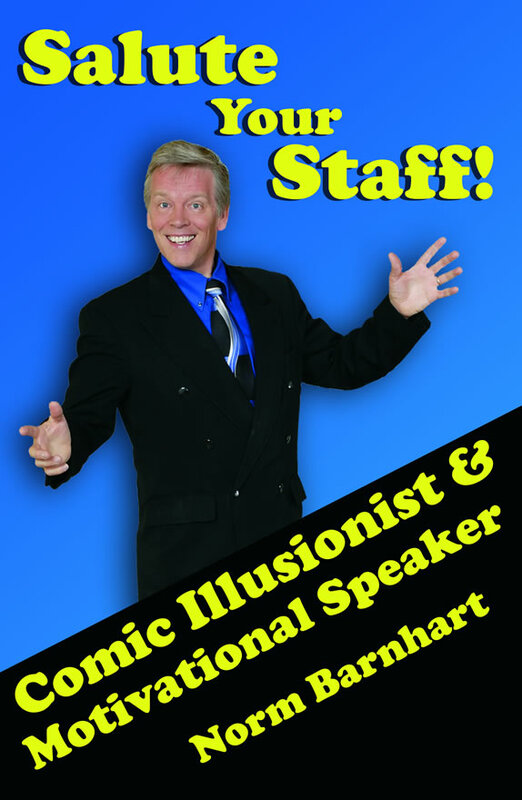 The mix of comedy and magic captivated the audience, and was both entertaining and motivating to our staff. You were able to reach out and connect to the variety of ages and backgrounds that were in attendance and make it fun for all. I appreciated that you were able to convey the message of the importance of teamwork throughout the presentation." I love bringing entertainment and a motivational message to various audiences and seeing the smiles. I love hearing the laughter from young and old alike. I love it when parents, teachers and librarians come up after the show and say, "I had as much fun as the kids." I love to entertain at corporate events and watch the adults jaws drop and laugh like they were in 3rd grade again. Magic is fun and I love to bring fun to people and brighten their events. I have worked for many fortune 500 companies and many others that don't make that list. I love to bring a smile to a holiday party, annual banquet or team building event. It is also fun to entertain at various golf clubs for tournaments, as well as at fund raisers and black tie charity events. It is fun to do magic and help a good cause. This past week I entertained for the kick off of the Gillette Childrens Hospital Fundraiser along with KDWB and Children's cancer research Fund. I met some great families and had fun with the very fun KDWB DJ's. I have enjoyed performing in every major city and in most suburbs and many small towns as I zig-zagged across this country on school assembly tours for 13 years back in the 80's and into the 90's. I developed educational programs that grabbed kids attentions and motivated them to do their best in school. Magic has taken me to entertain families at fun places such as Knott's Camp Snoopy a dozen times and The Paul Bunyan Amusement Park for 11 summers. I've enjoyed performing at hundreds of fairs and festivals over the years. I have entertained at many colleges, weddings, Bar Mitvahs , high school lock ins and family events. I even love to be the life of the party at birthday parties for young kids or kids of any age. This past summer I entertained a bubbly birthday celebration for a group of 14 -15 year old girls, I was also on a riverboat entertaining for a 50 year old woman's birthday and I even did an 80 year old Doctor's birthday party. I have entertained with magic for the coaches of the Minnesota Vikings and U of M Golden Gophers. I have worked with cool musicians, popular radio DJs, and bands. I have met and entertained the famous and the not so . it is all the same. Magic brings life to parties and events and I enjoy being around people who are celebrating. It is exciting to take a new way to work every day, to see the world. It is fun to adapt and to bring the show into so many cool venues. The reaction is the same - people love to laugh and I love to instigate it. Please take a moment and learn more at MagicNorm.com. 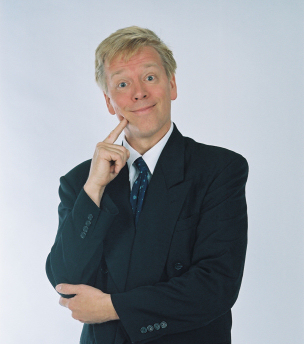 Make your next event fun and memorable with this comedy inspirational speaker. Its great for a keynote, after dinner speech or staff development day. Norm can be your M.C. or present a breakout session on humor in the workplace, teramwork and service. Re-charge your batteries and salute your team with this unique and entertaining presentation. This fun and fascinating program will delight your group. Your guests will enjoy the wit and humor of this motivational and uplifting presentation. This is an entetaining corporate presentation. He also effective with volunteer recognition events. It's a dynamic way to encourage and motivate. Norm works as a motivational speaker nationwide and is from the Twin Cities of Minnesota. He has recently presented this program in Orlando, FL, Austin, TX, Norfolk, VA, MD, Boston, MA. Click here to read Norm's helpful articles on business! 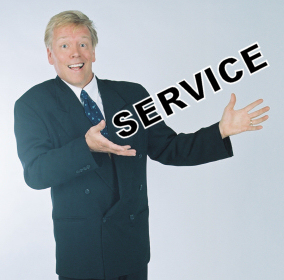 Click here to read Norm's tips about Appreciating your Employees! 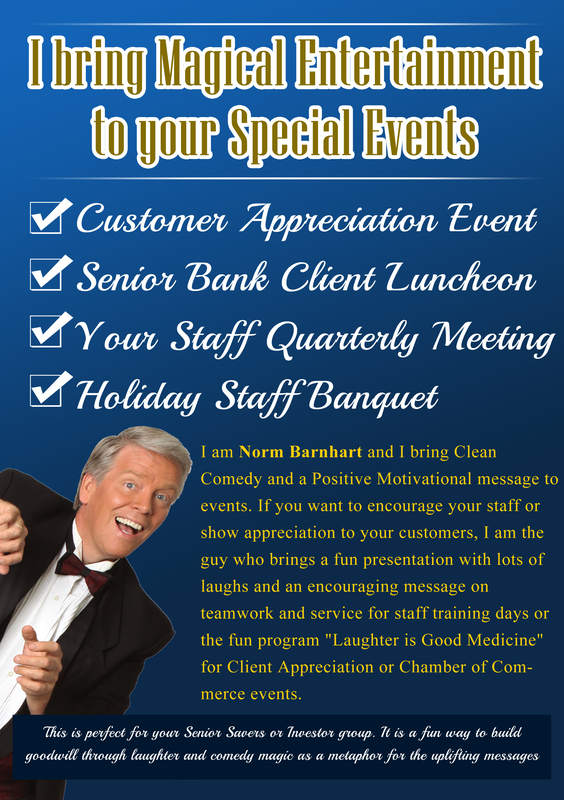 Click here to read Norm's tips about humor in the workplace!